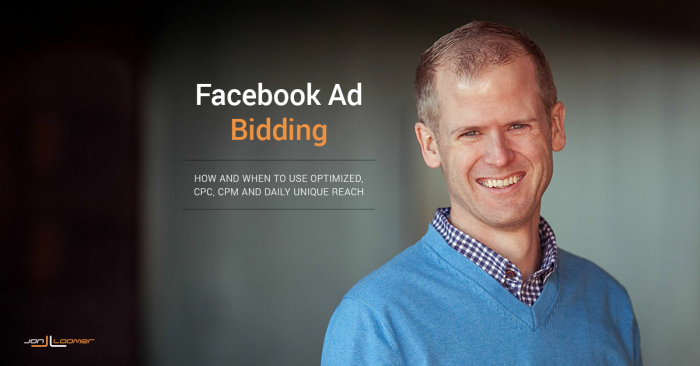 Advertisers struggle with the seemingly limitless options when optimizing Facebook campaigns. This blog post is meant to help answer the question regarding which bidding method should be used and when. Of course, success can be found in many different ways so this is merely a guide. But it is a good starting point for advertisers unsure how to begin. The default and recommended bidding option for all but the mobile app objectives is to optimize for a specific action — in each case, optimizing for the objective. The same is true for all other optimized actions. 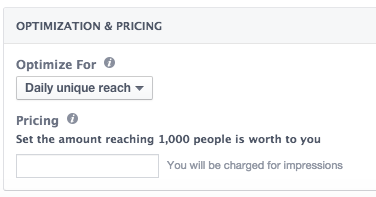 No matter how much you spend, Facebook won’t show your ad to everyone within your target audience. They are going to focus only on those most likely to perform your desired action. 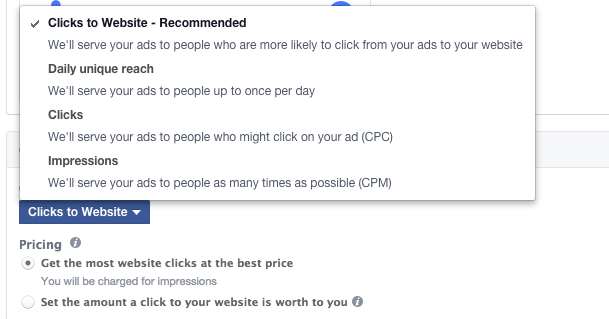 Regardless of whether you allow Facebook to bid automatically or you set an action value, you will be paying for impressions and not actions. So it doesn’t matter whether you get 10 or 10,000 actions, you will be paying based on impressions. Personally, I’d always start with having Facebook automatically bid for you. Once you know what you’re doing and have the budget to experiment, feel free to split test with the manual option to see what works best for you. As a result, advertisers often misunderstand these stats. They see a high number of clicks and a low CPC and assume success. But that number of clicks is bloated with many clicks that don’t mean anything, devaluing the CPC. 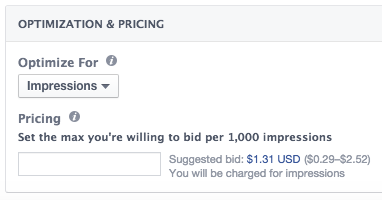 As is the case with CPC, this is the maximum — Facebook will bid up to that amount to show your ad. While bidding CPC or CPM, you should make sure you bid high enough. 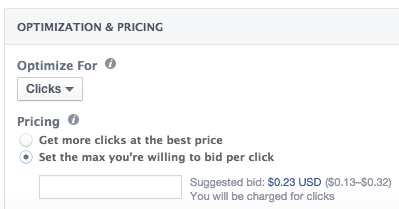 Bidding too low is a primary reason for not getting your ad shown. First, understand that personal preferences come into play here. I’m not going to say that one method always works better than another. But I do believe that we overcomplicate this, and beginner to intermediate advertisers should bid almost primarily for optimized actions. Optimized for Daily Unique Reach: I would only use this approach when targeting an extremely relevant audience. In other words, it doesn’t matter which person within your target audience is served your ad, all are equally likely to perform your desired action. This is rare, but an example of when you’d want to use this is when targeting a very small audience — like an email list, for example. This method would be chosen over CPM to avoid the high frequency that can happen when bidding too high for a small audience. Optimized for Clicks: If all you want is engagement and not a specific action, you should optimize for clicks. A prime example of when this makes sense is when promoting a photo or some other post that doesn’t include a link.